What Is So Special About Microsoft One Note MX? The Microsoft One Note MX is special as it has blended in with Microsoft Office to form the fourth main element. There is Microsoft Word, Excel and PowerPoint and now there is OneNote MX. It has smoothly developed into the fourth pillar of the MS Office suite. Microsoft has gone a step further to put OneNote MX as the poster child of the new touch-friendly mobile Office. While we are aware that Word is a word processor and Excel, a spreadsheet program and PowerPoint is meant for presentations, the name OneNote is not clear as it is labeled differently. It is nothing but a digital notebook, but my initial feeling was what would anyone want with a digital notebook? Investigating a bit further, it was obvious that this versatile and powerful, pocket sized tool could organize just about everything and anything. On top of it, its interface is cool and comes with a lot of interesting functions. In addition, it is practical and fun as well. You can jot down lists, capture notes during presentations, or even record random flashes that come to you at the oddest of times so that you can review them later, at your convenience. You can also store, organize audio, video, text, handwritten notes or photos and it can sync across devices too. One of the best features it has is that it can convert handwriting to editable text. Therefore, it is definitely special as it comes forth not only as a cross platform tool, but one that is accessible as well. The OneNote MX lets you embed info in a variety of formats and also lets you write using the stylus, mouse or even your finger. 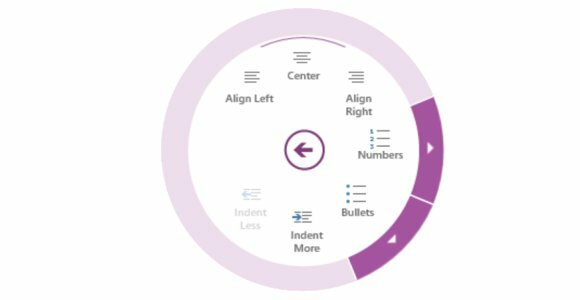 On top of this, it has a brilliant radial menu and it would be nice if Microsoft extends this radial menu function to the other members in the MS Office suite. It also has an innovative approach to working with information on a touch-screen mobile device. It is obvious that if you are familiar with OneNote on your desktop PC, you will find it easy using the OneNote MX. Overall, OneNote MX is polished and special and it is obvious that it would be a shining star of the new Microsoft Office which is all set to be released on the third week of October 2012. It just goes to show that the Big M still has some tricks up its sleeve. But I feel that it could have been given a better name, something like “Micropolis” or even ‘metropolis” for that matter. It definitely wouldn’t lose that special feeling but instead make it only sound a lot cooler. This article has been brought to you by xfinityonline.com.